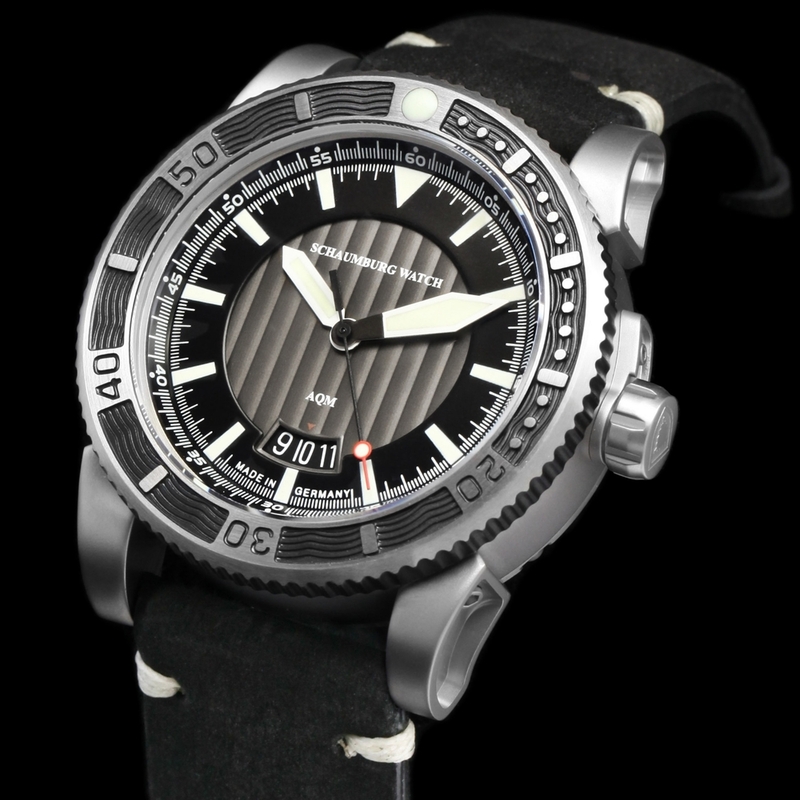 Schaumburg Watch AQM 4 3D automatic divers watch in stainless steel case with cutaway dial on custom soft leather strap with tang buckle from Chronolux Fine Watches. Chronolux Fine Watches are pleased to offer as Authorised Dealers the Schaumburg Watch AQM 4 3D automatic divers watch with 3-dimensional dial construction in brushed stainless steel on custom handcrafted soft leather strap with tang buckle, and supplied with complementary watch winder. The Schaumburg Watch AQM 4 3D delivers excellent legibility in all light conditions, as the hour markers and hands on the index ring have been coated in A Grade Super-LumiNova; vivid in daylight and positively glowing pale green at depths and in conditions where daylight no longer penetrates.